The downtown Bethesda shopping district in Montgomery County gets all the attention and sidewalk traffic, but it's the northern end of town, next to the National Institutes of Health campus, that's beginning to eke out a little more of the urban limelight. Stonehall, an eight-story luxury condominium building at Battery Lane and Woodmont Avenue in Bethesda, stands castle-like among neighboring streets with squat commercial spaces and an old-fashioned vibe. But from the upper floor, windows cranes are visible across the sky, and there are blockwide excavation pits promising lots more new construction that will push Bethesda's boundaries outward. 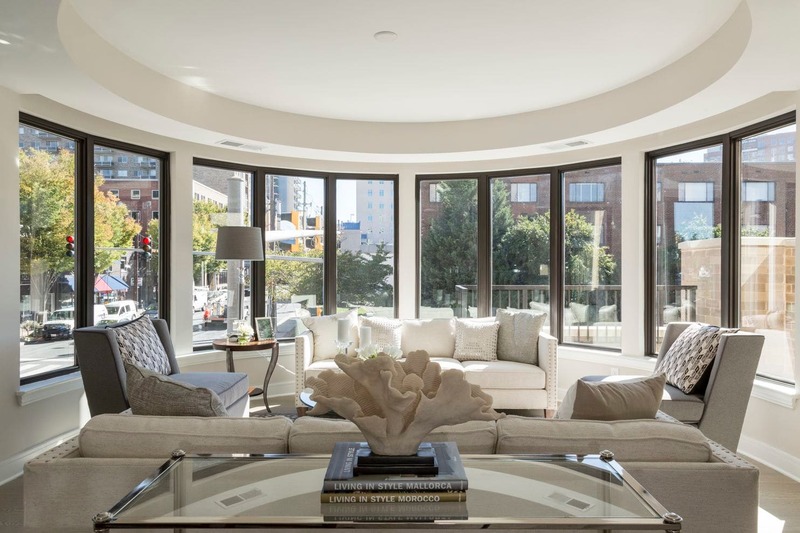 "Stonehall is a boutique condo because it's not particularly big," said Laura Henne, director of sales at McWilliams Ballard, the company handling Stonehall sales. Forty-six units — ranging from one to three bedrooms and two penthouses — and 18 floor plans are offered. Forty-five percent, including one penthouse, are sold.